Where Our Hospitality Is Your Pleasure. Come spend the night with us! Convenient hotel amenities with an apartment-style twist which make business or leisure getaways memorable. Our pet-friendly rooms (up to 10lb’s) are a comfortable escape with cable TV and lots of premium channels. Each room at our hotel comes with a full kitchenette, full-size refrigerator, microwave, 2 burner stove, and plenty of cabinets to stock with all your favorite items. Not in the mood to cook? Fulfill your appetite with something good. Minutes from the hotel, discover a selection of American, Mexican and seafood restaurants dishing up regional and international fair or grab a quick burger at What A Burger just a two minute walk at 433 feet away. Need some other quick items, how about Walmart or Dollar Tree, both within walking distance as well. The Gold Crescent offers endless excitement and entertainment only two hours from San Antonio, Houston and Corpus Christi. Here, visitors can explore fascinating museums like the McNamara House, or catch impressive performing arts productions at Theater Victoria. Hang out and people watch in DeLeon Plaza and Bandstand, or go wild at the Texas Zoo. The area is known for its colorful festivals like the Boot Festival, great shopping at Victoria Mall, and acclaimed academics at the University of Houston-Victoria. Q: How long will it take to get my reservation confirmation? A. Right now we offer bookings through several online booking websites such as Booking.com, Expedia and so forth. After you complete your reservation, you will receive confirmation immediately at the end of your booking process. Note: We will be adding direct bookings from our website soon, until then you may book directly with us by calling, 1-361- 894-8710 and speak to our front desk reservations manager. A. We accept all major credit cards: American Express, Discover, Visa, Master Card. Q: Do I need to give my credit card info to make an online reservation? A. Yes. A valid credit card is required when making your reservation. Your credit card is used simply to hold and guarantee the room you are booking but will not be charged until check-in time of the first day of your stay. Q: What is the cancellation policy for my hotel reservations? A. This information should be listed on the booking website you maybe booking your reservation through. Standard cancellation allows free cancellations 24 hours before check-in date. if you cancel your room booking less than 24-hours before you’re check in date, you will be charged full price of one days stay. Q: How do I view or cancel a reservation? A. Login to the website you made your online reservation with, there you may view, modify or cancel a reservation. Q: If I change my reservations, will my rates change? A. We cannot guarantee that the rates will not change since the industry is dynamic, rates are constantly changing. So if you change the dates or room type of your reservations, it’s very likely that the rates may change as well. Q: Are there standard check-in and checkout times? A. 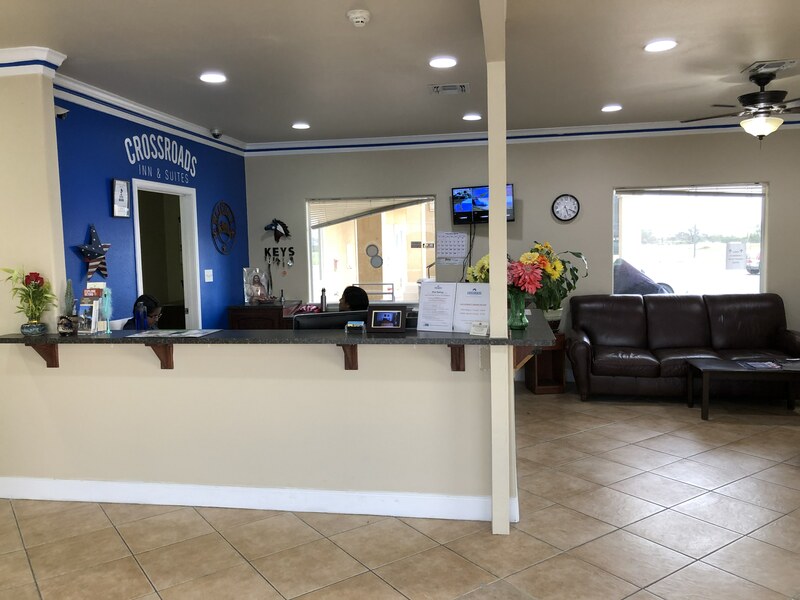 3:00 PM is the standard check-in time and 11:00 AM is the standard check-out time but we do offer early check-ins when we have clean rooms available. We offer late check-outs upon request. 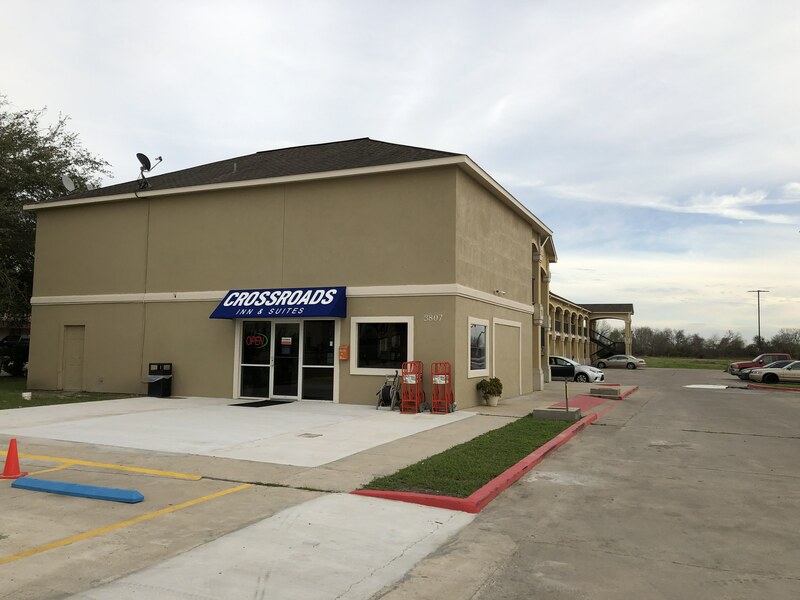 Q: What discounts does Crossroads Inn & Suites accept? A. In addition to our marketing specials, we advertise our prices with all discounts available up front in order to get you to stay with us. Q: Does your Hotel pet friendly? A. Yes, we are a pet friendly Hotel. Dogs up to 10lb’s are allowed for a small fee. Q: What happens if my plans change and I forget to change or cancel my reservation, will I be charged? A. For no-shows the first night plus tax, will be charge to the credit card used to reserve your room. This is disclosed on the booking website used at the time of your booking.